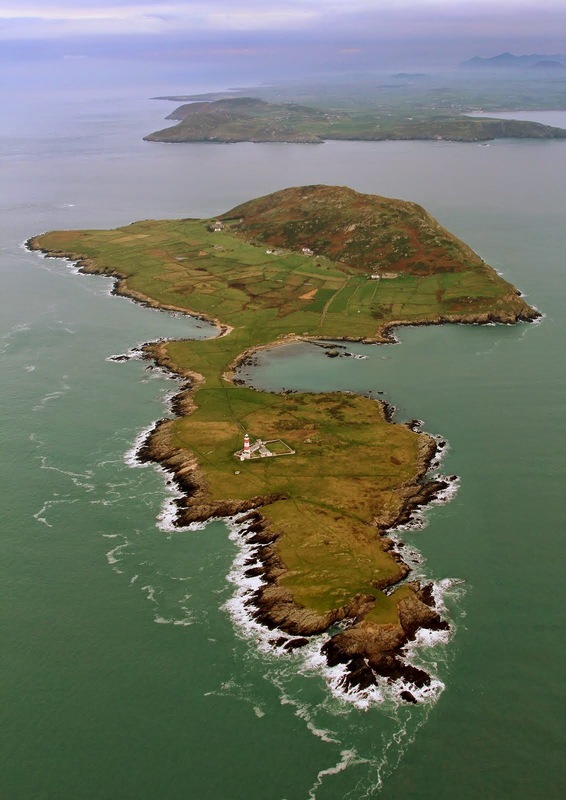 Looking out towards the south end of Bardsey Island as I write this, with winds gusting 104 mph and lashing rain, it is hard to believe that Kenya even exists, let along think of the warm climate and number of birds that I remember experiencing. However, I will attempt to give a bit of an idea of the birding on offer in the area, and some (hopefully) useful details about volunteering and staying A Rocha Kenya. I first visited A Rocha Kenya with my family back in June 2011 during a holiday to Kenya. Colin Jackson invited my sister and I back to do some volunteering with them at some point in the future, which eventually came together for three weeks last November. On both trips I had an amazing time, taking images and observing the local wildlife, as well as helping out with the daily workings of Mwamba (A Rocha Kenya). 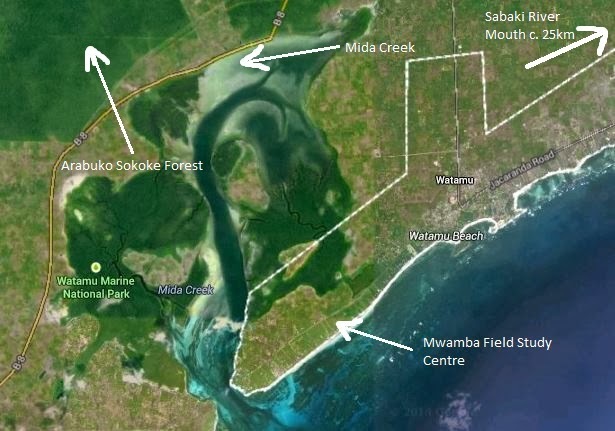 Mwamba Field Study Centre (A Rocha Kenya) is situated near Watamu, a village in the Kenyan coastal county of Kilifi, which is some 21 km away from the larger town of Malindi. The centre itself is involved in environmental conservation, brought about largely through community-based projects. On top of these projects, the centre also carries out ringing (both in the centre grounds and in nearby habitats), regular shorebird counts at the local estuaries, a weekly species census of the Kilifi area, and the monitoring of some of the endangered species present nearby. You can explore more about A Rocha Kenya here, and check out more of their work here. 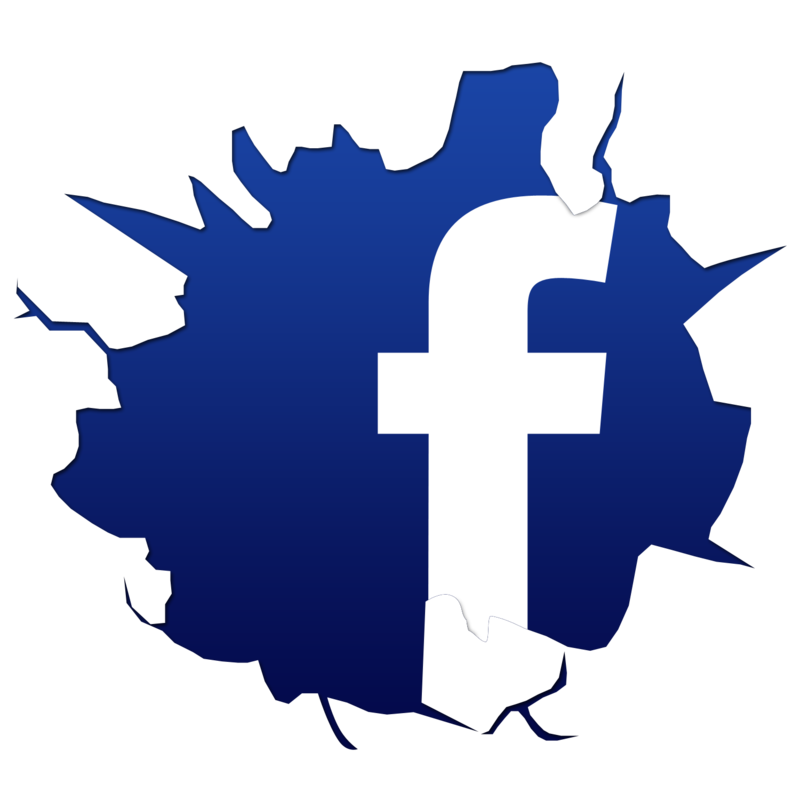 You could also 'Like' their Facebook page here. A short way inland from the Watamu Peninsula is the Arabuko Sokoke Forest. Some 420 square kilometres in size, this mix of ancient coastal forest is home to the most threatened inhabitants of the area. It is the largest stretch of coastal dry forest remaining in East Africa, and so it is perhaps no surprise that six globally-threatened species depend on the forest, namely the Sokoke Scops Owl, Sokoke Pipit, Amani Sunbird, Clarke’s Weaver(Endemic to the forest), East Coast Akalat and Spotted Ground Thrush. On top of these, over 260 species have been recorded within the confines of the forest, including such superb birds as the Narina Trogon, Gorgeous Bush-shrike, Fischer’s Turaco, BÖhm’s Spinetail, Black-and-white Casqued Hornbill and Blue-mantled Crested-flycatcher to name but a few. The forest is surrounded by a seven-foot high electric wire fence to prevent the African Elephants from within the forest roaming onto the nearby agricultural land. The awesome BÖhm's Spinetail; forget White-throated Needletails (! ), this crazy Apodidae has an incredibly erratic flight, and a near non-existent tail. In active flight, they look more like a Bats that swifts! There is a fee of $15.00 to enter the forest, and I can highly recommend hiring a guide (for birds that is) for the day. I hired someone called Albert for the day, who cost 2000 kenyan shillings to hire, plus an additional 3000 kenyan shillings (about £21) for a private car. He took us along the sandy forest tracks, looking out for feeding parties of anything between 5 and 60 birds! Sometimes we could be birding for over half an hour without seeing a bird, and then suddenly would come across a feeding party of Little Yellow Flycatchers, Pale Batis, Red-tailed Ant-thrushes, Retz’s Helmet-shrikes, Black-headed Apalis and, if you are lucky, Clarke’s Weavers and an Amani Sunbird. Going off-trail in pursuit of such feeding parties does, however, have its disadvantages…a warning for anyone who ends up here: wear long trousers and trainers!! Let me explain…one minute you can be concentrating on a Mombasa Woodpecker creeping along the branches overhead, when the next minute you are suddenly attacked from below by what seems to be a hundred simultaneous stings! Tens of unseen Safari Ants will bombard your innocent feet, all of them giving quite painful bites. This sends you into a frenzied panic run, pelting away from the ants and stomping you feet on the ground to try and get them off! This can happen MANY times during a stint of forest birding. Many birds in the Brachystegia forest type are seen flitting up in the canopy of the trees, such as this Pale (or East Coast) Batis. Aside the ants, my personal experience of the forest is mixed! When I first visited Kenya in 2011, I was given a fantastic tour of the forest, logging many of the endangered species, and seeing the equally impressive supporting cast. However, my most recent trip to the forest turned out more like a nightmare! Myself and five others went birding with the excellent forest guide Albert, with the assumption that we would be returning to the car within about an hour. And so, we were suitably provisioned with only a couple of bottles of water. Having wandered off trail to try and see the amazing Gorgeous Bush-shrike (see below! ), Albert then took us into a slightly denser forest type called the Cynometra to try and see Narina Trogons. To cut a long story short, we got lost…and ended up wandering and battling through dense thickets the forest for eight hours. Eventually, after getting trapped in a forest snare, and stumbling upon an Elephant water hole, we finally managed to find our way back to a forest path. Severely dehydrated, we promptly retreated the 2 km to the car, before driving swiftly to the nearest place selling Coke (the drink, that is...). To the West of Watamu is Mida Creek: a tidal inlet which serves as an incredibly important feeding site for thousands of migratory and resident waders. Designated a UNESCO Biosphere reserve, shorebird numbers can frequently reach over 6000 here. Obviously, the star of the show is the magnificent Crab Plover, which gathers here in reasonable numbers. As well as these pied wonders, Neararctic waders arrive from August to May, with hundreds of Greater and Lesser Sand Plovers, Terek Sandpipers, Curlew Sandpipers and Little Stintsfrequenting the rich mud flats. Birding a kilometre or so from the road-side entrance to the estuary edge can be just as exciting as scanning the mudflats for waders and egrets. Areas of rank grassland and sparse bushes attract Pin-tailed Whydahs, Yellow-throated Longclaws, Black-headed Orioles, Long-crested Eagles and Black-shouldered Kites. Between this grassy area and the high tide mark is a thick belt of Mangroves- although fewer species are present in the Mangrove trees themselves, it is still possible to find birds like White-throated Bee-eaters, African Paradise Flycatchers and Amethyst Sunbirds. African Paradise Flycatchers (above) can be found in the tops of the Mangroves, along with Tropical Boubous, Black-backed Puffbacks and Common Drongos. Male Pin-tailed Whydahs produce an amazing display to try and attract the attention of females. They rise up, and in a series of bouncing motions, flutter and fan out their tail behind them. For an added adrenalin rush (on top of all that lot! ), there is a 500 metre long boardwalk, which takes you to a bird hide at the edge of the Mangrove Forest. Now I don’t just mean your average foot-high local nature reserve boardwalk- I am talking a 12-foot high swinging rope bridge boardwalk, with gaping holes in the floor slats! It really is a great experience, although it is rather hard to concentrate on birding at the same time (I do not recommend this). The rickety rope boardwalk at Mida Creek, which ultimately ends at a wooden bird hide at the estuary's edge. A little further North along the coast from Watamu is the Sabaki River Mouth. This large river delta is created by the dissipation of Kenya’s second longest river (the 390km-long Sabaki River). The delta itself contains a diversity of different habitats, ranging from the thick squelching ‘Sabaki mud’ at the river’s edge to areas of rough grassland, scattered trees and small pools (during the long rains season- April to June). The shorebirds that frequent the mud flats are similar in species composition to that found at Mida Creek. However, the numbers can be somewhat more impressive, and a few added species such as Madagascar Pratincoles (or ‘Mad Prats’), Broad-billed Sandpipers and White-fronted Plovers add to the mix. Combined with the waders, there are plenty more besides: Pink-backed Pelicans, White-faced Whistling-ducks, Yellow-billed Storks, African Spoonbills,Greater Crested Terns and Caspian Trens are regular visitors. From the multitude of waders, egrets, flamingos, pelicans and terns at the estuary’s edge, the passerines on offer in the mixed scubland makes it an even better place for birding! 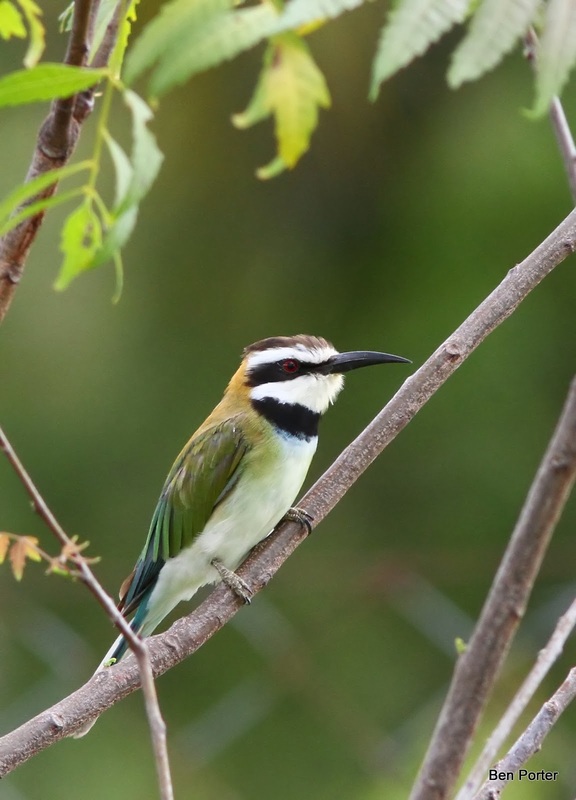 Northern Carmine Bee-eaters, Zanzibar Red Bishops, African Reed Warblers and Long-tailed Fiscals are present amongst the scattered bushes, which at the right time of year can also bear the likes of Palearctic migrants such as Red-backed Shrikes, Yellow Wagtails and Wood Sandpipers! Every few weeks a group from the A Rocha centre visit the estuary to count the mass of shorebirds feeding on the flats at low tide. This is a rather intense few hours birding to say the least! Starting from the inland end of the delta, several hours in intense heat and thick, shin-deep mud is spent trying to count hundreds (if not thousands!) of calidrid waders, sand plovers, flamingos, egrets and terns. With one person scribing for the majority of the time, two or three others will use scopes to work through the estuary edge. Once this is done, a two-kilometre walk back to the road is spent admiring the bee-eaters, finches and and other species in the dunes and grassland. PART of our notebook entries for the Sabaki census. Left: some of the counts of the shorebirds from that morning. Right: a species list of the area and the times seen. Although all three of these sites are amazing for birdlife, the surrounding grounds at the Mwamba centre itself hold plenty to keep yourself entertained! The small plot of land attached to the centre is a decent place to start birding: Red-fronted Tinkerbirds, Yellowbills and Emerald-spotted Wood-doves can be seen here. However, birding in such wooded terrain on your own is very frustrating for the first week or so. It can be very hard to see the birds skulking away in the dense foliage, and yet a cacophony of different bird song and calls is evidence enough that there is plenty there! Getting to grips with the common bird calls and songs can be very frustrating at first, but gradually you can recognise and remember more of the chorus. You can then begin to ‘filter’ out the ‘background noise’ of Common Bulbuls, Emerald-spotted Wood-doves and White-browed Coucals, to focus down on the more interesting species (!). This beautiful Mangrove Kingfisher can often be seen snapping insects over the compost pit in the Mwamba grounds. A small hill on the entrance road to Mwamba is an ideal place to scan over the distant palm plantation forAfrican Palm Swifts, Black Kites, Bee-eaters and passing migrants. A short walk to the left from here takes you past a series of drive-ways, lined with a mix of undergrowth and taller trees (including Baobabs). Driveways lined with dense vegetation can produce some great birds if you are patient. For example, birding regularly along here produced Narina Trogon (which I missed! ), Trumpeter Hornbills, Yellowbills, Lizard Buzzards, Lilac-breasted Roller, Grey-headed Bush-shrikes and an Ayre’s Hawk-eagle. A little further along the road is a small lake. This can attract small numbers of waders at high tide, including Little Stints, Curlew Sandpipersand Ringed Plovers, not to mention the usual Three-banded Plovers. 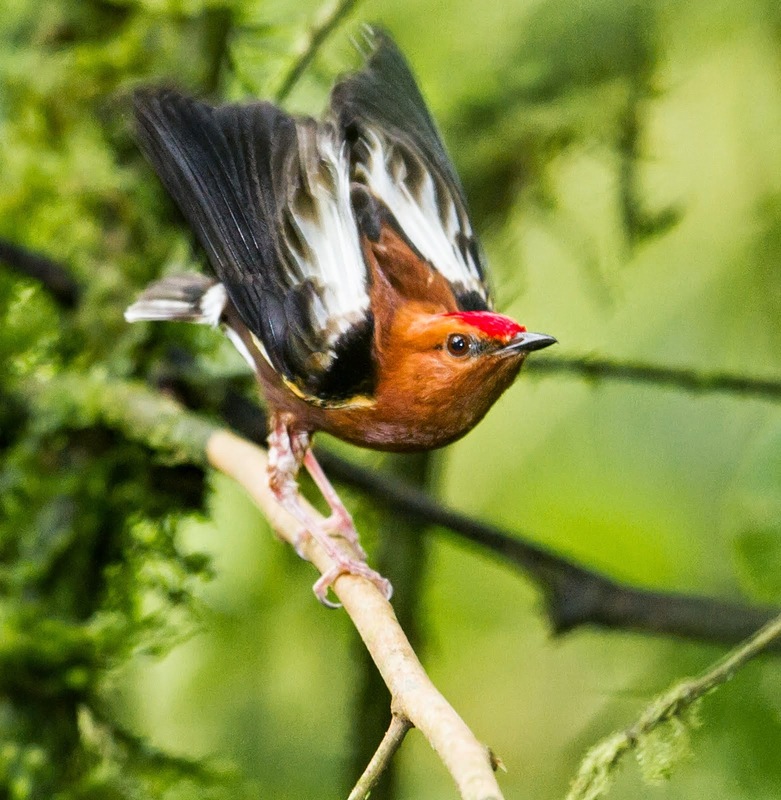 Overhead, hirundines such as Wire-tailed Swallows, Ethiopian Swallows and Lesser-striped Swallows chatter away. Ayre's Hawk-eagles are a scarce frequenter of the area, and a formidable beast they are at that! Check out those talons! The centre itself is literally 20 metres from the sea, and from the blindingly white Watamu Beach. Although it is common to have dog walkers and early-morning joggers disturbing birds, walking along the beach front here can produce a few flocks of wader, sometimes numbering hundreds at the less-disturbed southern point. The beautiful Pied Kingfisher can be found along this stretch of beach, with a couple of pairs nesting in the sandy banks at the far end of the peninsula. Gull-billed Terns regularly fish along the shoreline, whilst scanning the horizon out to the reef break may produce rewards in the form of Brown Noddys, which nest on the nearby Whale Island. 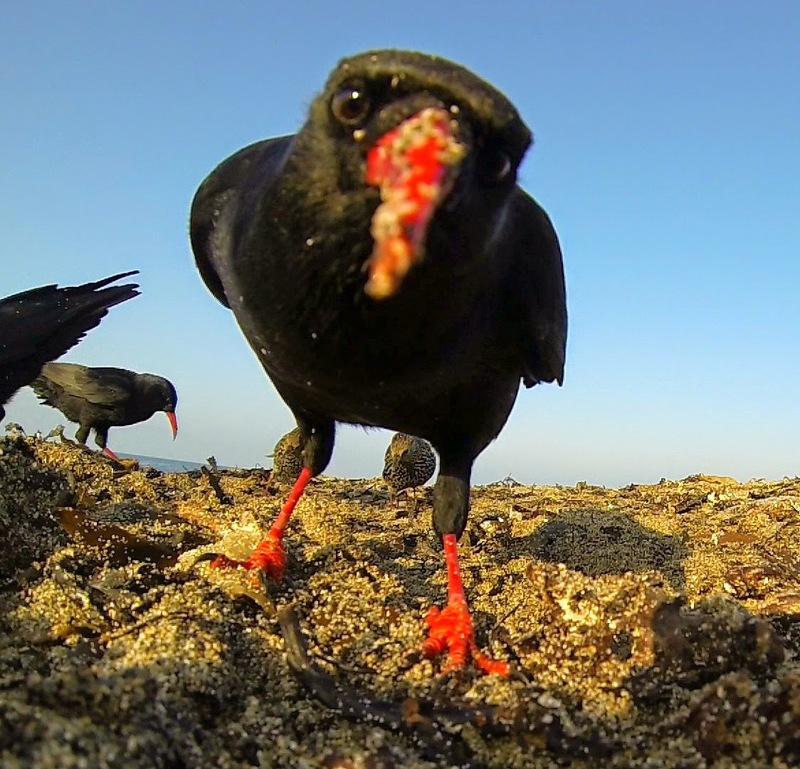 One of the things I really enjoyed whilst birding at the coast was watching 'our' common species feeding beneath a blazing hot sun, and alongside the likes of Crab Plovers and Yellow-billed Storks. You can really get a true sense of their achievement in migrating all the way down to areas like Watamu, as you watch birds such as this Greenshank wading through the shallows of the Indian Ocean. Ringing is a key aspect of A Rocha Kenya’s work in the Kilifi County. This is carried out largely in a small wooded area immediately beside the centre. This ‘Nature Trail’ holds about 13 mist nets, which are opened in the early morning every two weeks or so. Providing conditions are favourable, and that Syke’s Monkeys are not on the prowl for prey, ringing sessions are likely to result in interesting species such as Zanzibar Sombre Greenbuls (Zombies), Grey-backed Camaropteras and Olive Sunbirds amongst the more common residents. Occasionally, a Mangrove Kingfisher, Red-capped Robin-chat, Little Sparrowhawk or Bearded Scrub-robinmay delight ringers by turning up in the nets. These beauties may occasionally find their way into the mist nets. Bearded Scrub-robins produce some of the most beautiful bird song on offer during the dawn chorus. For the ringers among you, taking part provides a unique opportunity to try and get to grips with Afro-tropical ageing techniques. Since there is no set breeding season for most of the resident species, individual birds can moult at almost any time of the year, and so do not follow an easy moult cycle such as the migrants which we get here in the UK. 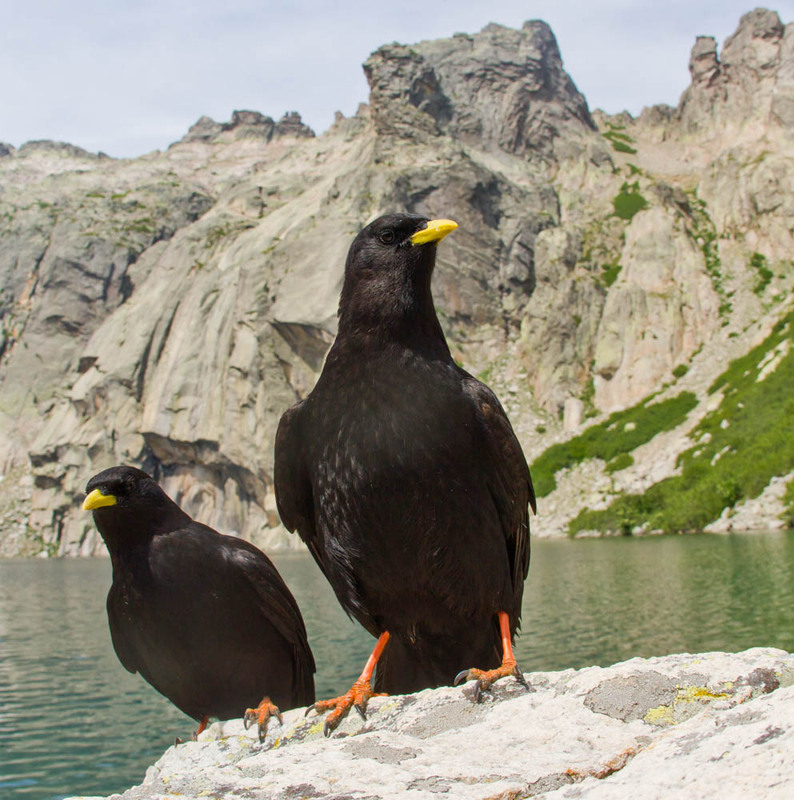 The result is that the ageing of birds can be rather tricky (to say the least), and uses an AFRING coding system, not too dissimilar to that of the EURING scheme’s ageing codes back in the UK. An Eastern Nicator. Check out the primary moult of this guy!! 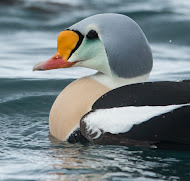 This bird possesses feathers in about three different stages of primary moult. Every month or so, high tide wader roosts are targeted at the nearby Mida Creek. This involves setting about 15 60 foot, five-shelf nets up on the sand, as well as a few single-panel wader nets. If the conditions are ideal, the tide should start pushing waders closer and closer to the Mangroves after darkness has fallen. The incoming tide pushes hundreds of waders to the inland areas of the creek, which is when the mist nets catch the largest number of birds. Greater and Lesser Sand Plovers, Little Stints, Curlew Sandpipers and Terek Snadpipers are caught in the largest numbers. The Terek Sandpipers, Greater and Lesser Sand Plovers are fitted with flags above the tibia as part of Colin Jackson’s continuing ringing scheme. Each of the flags bears a unique two figure code, which allows individual identification of the birds both at the creek and away from the site. Aside these common species, a few more interesting birds can also find their way into the nets, such as Crab Plovers, Grey Plovers, Bar-tailed Godwits and Whimbrels. All the birds are released a after being processed. 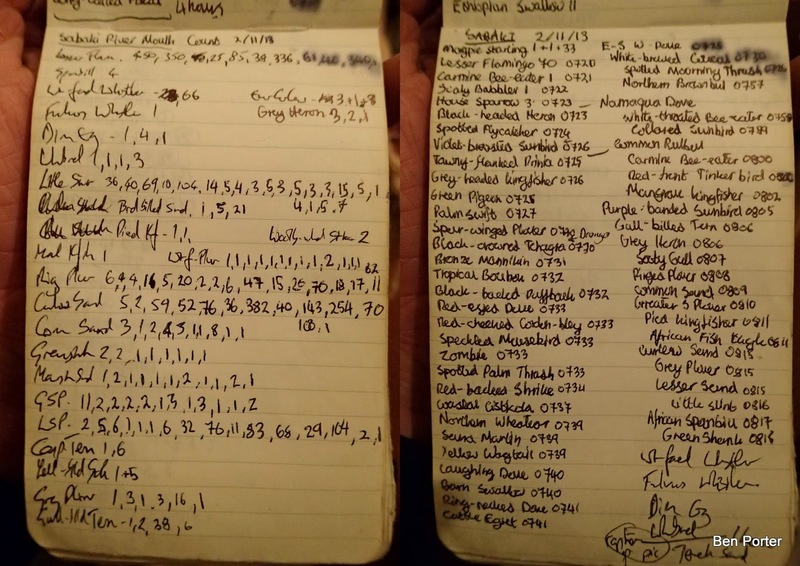 All in all, these high tide wader ringing sessions usually result in about 200 birds being ringed. Yes...that is a Crab Plover, and yes...that is me holding it! Beside the birdlife of the area, there are plenty of other interesting animals and insects to observe. Syke's Monkeys will regularly wake you up at about 5 am with as they clatter along the tops of the roofs at Mwamba. A huge variety of butterflies are found in Mwamba's nature trail, including some beautiful ones (see below). Other aspects of lepidoptera are limited to the odd migrant Convulvulus Hawkmoth, attracted to the night lights around the centre. Elephants are present in the Arabuko Sokoke Forest, and can occasionally be seen visiting a swamp at the forest edge. The marine life off Watamu's shore is amazing, with coral reefs not too far offshore. It is fairly common to see Green and Hawksbill Turtles whilst swimming, not to mention the dazzling selection of fish (the Lion Fish was my favourite). So, how can you experience this awesome selection of fauna which is on offer? Besides staying as a guest at the Mwamba Centre (see here), you can also take part as a volunteer. Voluntary work can be specific to the individuals visiting- some Marine volunteers were doing their own work for their respective Universities (through Internships), investigating Ghost Crab populations with shoreline transects, or studying a specific Coral such asAnomestria. I myself was there on the basis of photography: taking pictures of the wildlife in the surrounding area, as well as of the daily goings on at Mwamba, and the projects which they are carrying out in the neighbouring areas. They could then use these images on their website, for centre promotion locally, or for advertising the centre. The centre ‘grounds’ comprises the main building (a dining area, a few offices and a roof-top sitting area), two large buildings for the lodgings of guest visitors, and about three small buildings for the volunteer accommodation. Besides the kitchen (strictly used by the cook), there are facilities for washing clothes and a couple of showers. However, you may as well just pop into the sea, considering it is right on the edge of the Indian Ocean, the water of which is warmer than the current climate of the UK! In terms of prices, staying at the centre costs 1750 Kenyan shillings per night for volunteers, which is the equivalent of £12.50. This includes all meals (which are incredibly sufficient! ), as well as a small room to stay in. It costs a bit more to stay as a guest, with more luxurious accommodation, and, more importantly, Mozzie nets with no holes in! About 150 metres West from the centre lies a main road, which continues to the very end of the Watamu Peninsula. The main towns that you use during transportation are Turtle Bay (a popular tourist resort not far from Mwamba) and Gede. Gede is the main point from where you can travel either to Mida Creek, the Sokoke Forest or to the Sabaki River Mouth. Getting to Gede either involves first walking 30 minutes along the beach front to Turtle Bay, or getting a Picky (motorbike taxis) from the road in front of Mwamba. This form of transport costs about 30 kenyan shillings (less than 50p) to take you to Turtle Bay. From Turtle Bay, you can take a Matatu (small mini bus) to Gede. This is the cheapest long-distance mode of transport, although do expect to get squashed in like sardines! To use the Matatus, you just hop on, and tell them where you want to go. They will usually just nod, and you will be expected to pay up half way through the journey. They will usually try to completely rip you off, charging over 100 kenyan shillings (KSh) to get to somewhere which would cost a local 20! The likely locations for birding and their prices are roughly as follows: Turtle Bay to Gede=30 KSh; Gede to Mida Creek=40 KSh; Gede to Sabaki= 150 KSh. Besides Matatus, you can also pre-book a Tuk-tuk (a small three-wheeled vehicle). These are more convenient, being able to pick you up directly from the centre, and then take you to your destination. However, they are much more expensive. When A Rocha carry out the surveys of shorebirds and do any ringing, they will usually go in the centre pick-up, which you can tag along in. In terms of getting to the coast from the UK, there are no direct flights to Malindi. However, FLY 540 regularly fly from Nairobi’s terminal 2 to Malindi, from where you would be picked up by a taxi and taken to A Rocha Kenya. Don't forget to pick up a copy of a bird guide to Kenya! Either 'The Birds of Kenya and Northern Tanzania' (above), or 'Birds of East Africa' (Terry Stevenson et al) are excellent guides to use. After seeing the amazing wildlife on offer in the area, you may want to donate some money towards A Rocha Kenya's conservation work (you can do so here). After all, there are many threats to some of the already fragmented ecosystems, and their work through local communities is key to the preservation of this amazing place. Well, there we have it! If you did not know anything about birding in Kenya before reading this, hopefully you know at bit more by now! If you were already interested in going (either to visit or volunteer), I hope I have given some useful information for yourself. Otherwise, I hope you enjoyed the pictures at least!